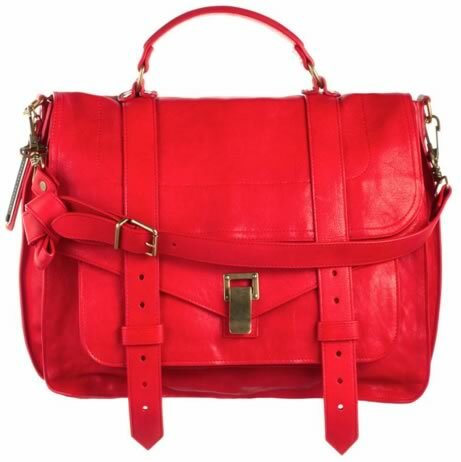 Another Wednesday means another day for the PurseBlog team to huddle together and discuss the items we want. Let’s be honest, we do this everyday, but we only share it with you on Wednesdays. 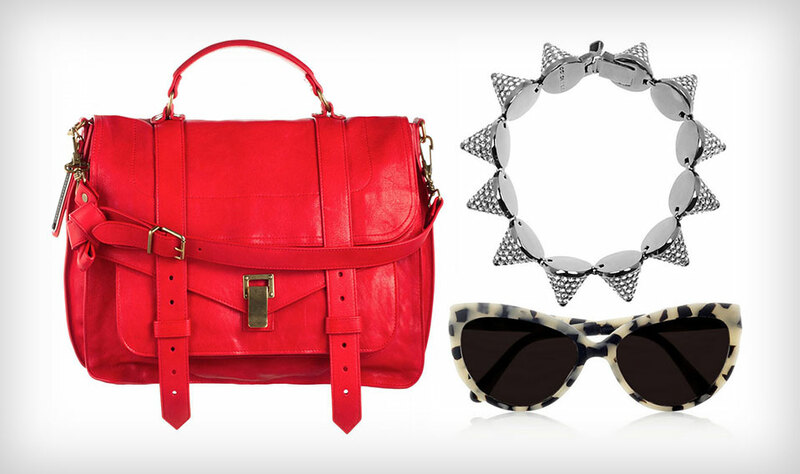 From funky cat eye sunglasses to a brightly colored handbag to a sparkly bracelet, we all found super cool items that we want to add to our wardrobe this week. Best part is all three work perfectly together. I call dibs… on all of it. I’ve been on this major arm party kick, stacking all of my favorite bracelets high each day. 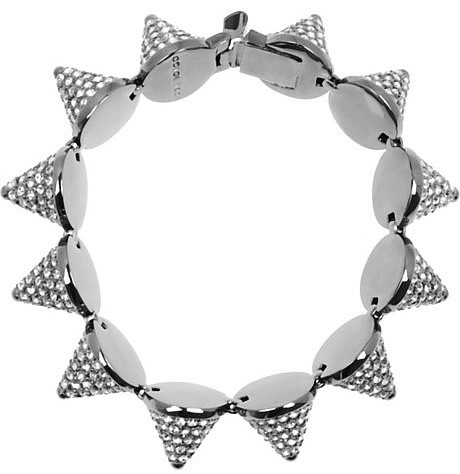 I like to go edgy when it comes to my accessories, so spiked bracelets always call my name. I started to get a major itch for Eddie Borgo accessories and now feel drawn completely to the Eddie Borgo Gunmetal-plated Crystal Cone Bracelet. I wish it were actual pave diamonds, however, the aesthetic is so me and I am looking to amp up my bracelet game this spring. With the advent of spring comes lots of beautiful, sunshine-y weather, and the shift between seasons is always a great reminder to step up your sunglasses game. I’ve had my eye out for the perfect cat-eye sunglasses for quite some time, and I think that the Prism Portofino Cat Eye Sunglasses might be just what I’ve been searching for. 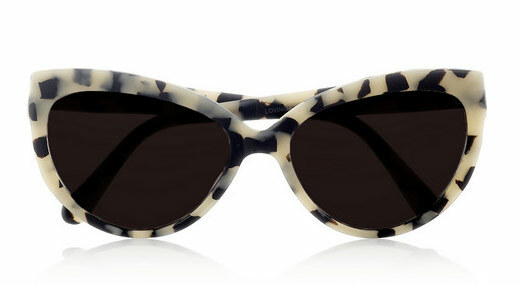 Instead of going ultra-retro (and sometimes a bit hard to wear) with an entirely white look, these chic sunnies have a light frame dappled with a bit of indeterminate animal print. The finish of the plastic is also interesting – instead of going high gloss, the ivory and black pattern is rendered in matte acetate, which gives the entire look a nudge toward the ultra-modern. A vintage shape in a futuristic material? I’m always such a sucker for that combination.